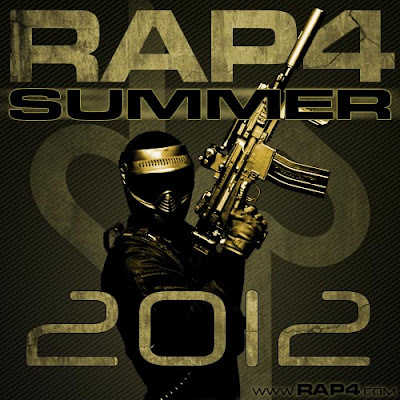 RAP4 has teased us with some new, possibly very interesting, product releases this summer. Here's the ad copy, followed by a video showcasing some new stuff (as well as variations on some things they already carry). Real Action Paintball is proud to help you out-maneuver, out-gun, and out-play your opponents this summer with some all-new gear and exclusive technology. Our engineers are hard at work putting the finishing touches on technology we previewed to players and the media at the Paintball Extravaganza...including our all-new D-Mags and new mag-fed markers. We have some extraordinary new models coming soon that recreate SOCOM-configured carbines, and accept D-Mags loaded with, interchangeably, First Strike rounds and traditional paintballs. We even have new tactical gear coming your way, because we want to protect and empower you with more than just our revolutionary markers. Out-maneuver your opponents when you see the field clearly through our redesigned goggles. Our engineers know that it's a challenge to get proper sight alignment with ultra-realistic mil-sim markers while wearing paintball goggles...so they engineered a solution that will be available shortly. You can hit what you can see, and you can see a lot more with our new goggles. Out-gun your opponents when you carry our all-new mag-fed markers into action. With rifled barrels, mil-sim silencers, collapsible stocks, and paint pushed into your hopper continuously via the spring-powered magazines, you'll have the accuracy and reliability to make every single shot count...and the accessories to create exactly the marker your mission requires. New models even include a Barrett M82-reproduction mag-fed marker that is so real we had to license it with Barrett! Our next generation markers are designed to work with the all-new RAP4 D-Mags. Made to be tough, light, and remarkably inexpensive, these magazines each feature two ten round vertical stacks of paint that eliminate follower-binding and paint deformation - the stack isn't pressurized until the magazine is inserted. D-Mags will also be available with total capacities of fourteen and, for heavy-gunners, thirty rounds. This summer, you will even be able to train and deploy with reformulated RAP4 paintballs that are designed to function in all paintball markers...but are optimized for our truly authentic equipment. Out-play your opponents when you have the performance of the latest RAP4 mag-fed marker, the style and comfort of our latest tactical gear, and the performance of our legendary products. You'll need to be daring, cunning, and smart, which only comes from practice...but you can leave the gear up to RAP4! Check our website frequently for updates, and stay alert for breaking news from RAP4 - you don't want to get the message by way of incoming paint from someone who got their new RAP4 gear before you! Of particular interest may be that the RAP4 M82 Barrett marker will finally be released. I can't tell you how many hits come to Grey Ops searching for that marker alone. It's very interesting that it will be licensed by Barrett, this may be the first case of a .68 caliber marking replicating a real steel system that's actually properly licensed. Kudos.